Founded in 1948 and headquartered in Tulsa, Oklahoma, THE Arrow Trucking Company is one of the country’s largest and most financially sound flatbed motor carriers. 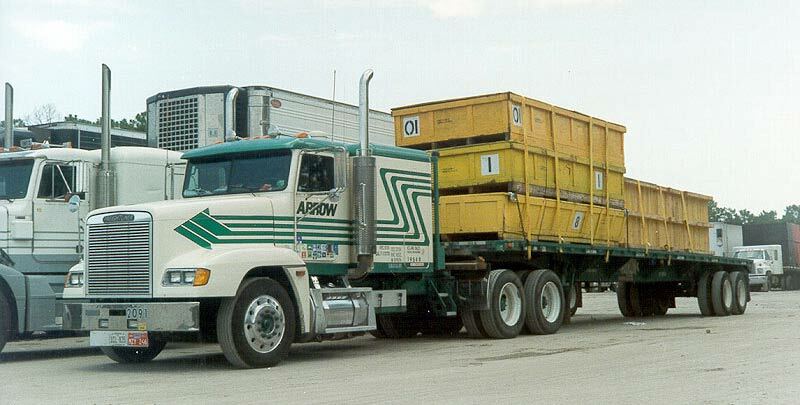 Successfully running an OTR business for over 65 years, Arrow is one of the largest and most experienced flatbed motor carriers in the nation. Their experienced and professional leadership team and staff have the knowledge and capabilities to provide the highest level of transportation services to their customers as well as an exceptional work environment for our drivers. With a wide diversity of service capabilities, Arrow are positioned to supply the right equipment, at the right time, at the right place – anywhere in the continental 48 states, as well as Mexico and Canada. Building on our solid foundation and years of experience they have continued to enhance our competitive advantage through the formation of strategic business partnerships with leaders in the industry and reinventing their business practices through the implementation of advanced technologies and processes. Centrally based in Tulsa, OK, Arrow offers a wide variety of driving options for qualified individuals. Although they primarily operate as OTR Flatbed carrier, you will find there are positions available in Heavy Haul, and Regional Flatbed. And if you’re just getting started, they offer an outstanding entry-level program to get your career going in the right direction. Arrow is also a great partner for Owner Operators. Bring your truck, or join our new Lease Purchase Program. Company Drivers earn up to .44 cents per mile. With terminals at strategic locations across the nation, Arrow offers Flatbed, Heavy Haul, Specialized, LTL and Brokerage Services to their customers with a fleet of 1400 tractors and over 3000 trailers. Arrow offers drivers many opportunities to choose from – Line Haul, Regional, Flatbed, Specialized, Company Driver, Lease Purchase and Owner Operator Programs – that offer drivers the flexibility to meet their individual needs. Through continual reinvestment in the business and formation of strategic relationships, Arrow distinguishes itself as a leader in providing customers with the very best in quality customer service, clear communication and on-time delivery. The people at Arrow Trucking, from the front desk to their drivers on the road, are deeply connected to the vision and values that have made the company successful since its beginnings in 1948. With a team of professionals that are fully engaged in delivering the Arrow promise: consistent, reliable, timely handling of your shipments. They are staffed and prepared to devote undivided attention to every one of your loads.